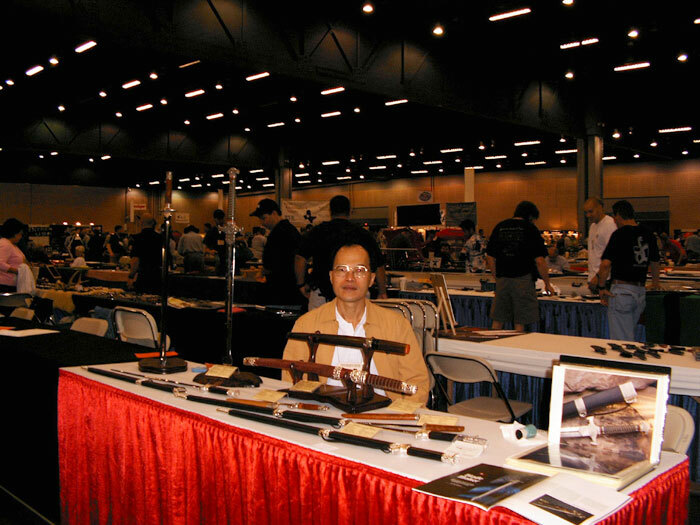 The Blade Show is the largest sword exhibition in the world. 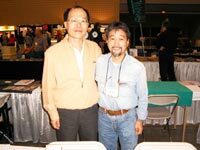 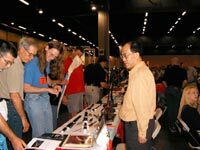 Held annually in Atlanta City, Georgia, it was hosted from June 03 to June 05, attracting more than ten-thousand visitors to the show! 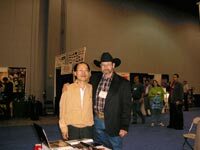 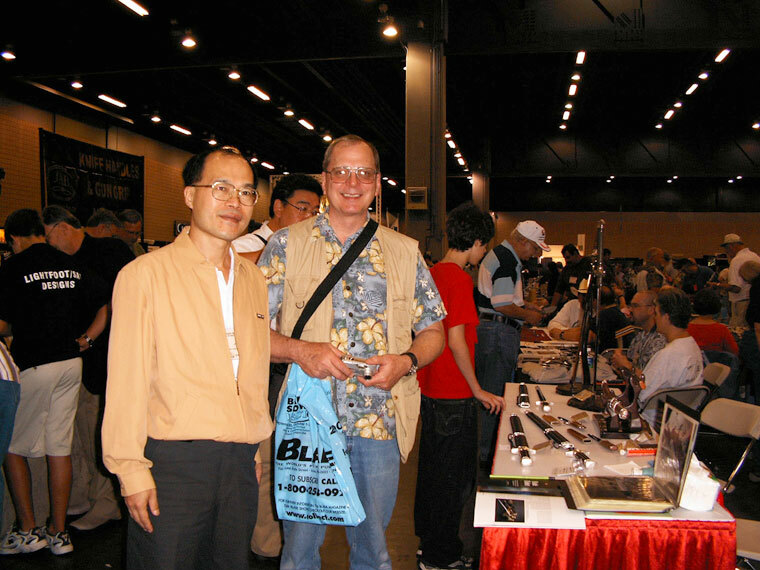 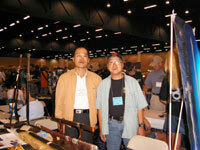 It was my first time participating in the show in 2005. 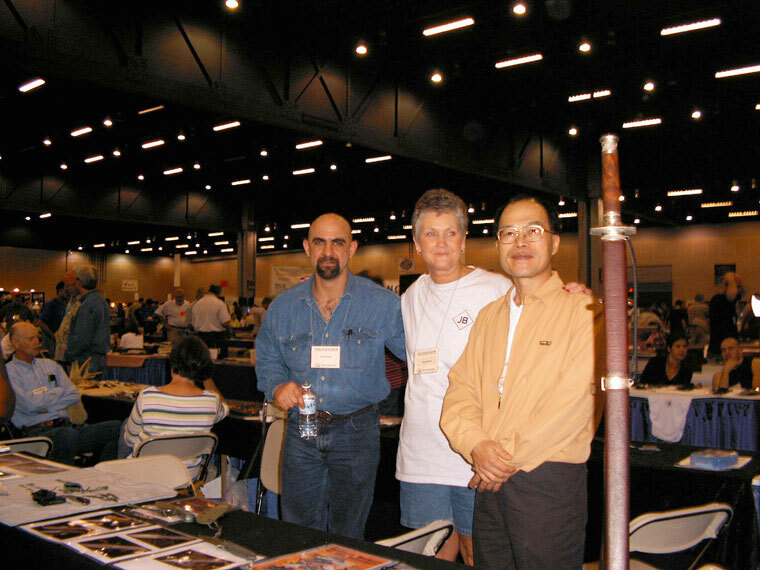 Everything was new for me, stepping onto the international scene for the first time. 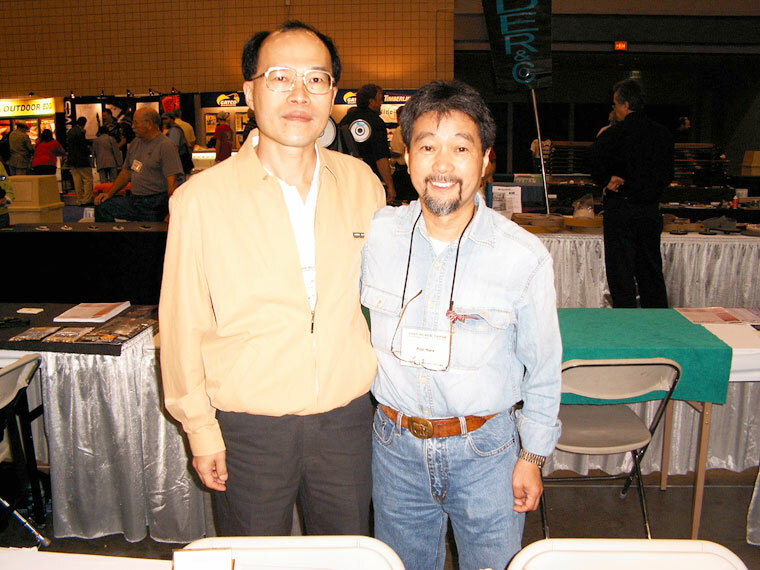 It took 18 hours to fly to the US and a total of 24 hours to arrive in Atlanta from Taiwan. 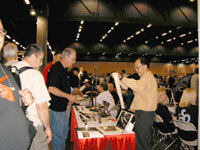 There were a total of 650 booths, most were local US exhibitors. 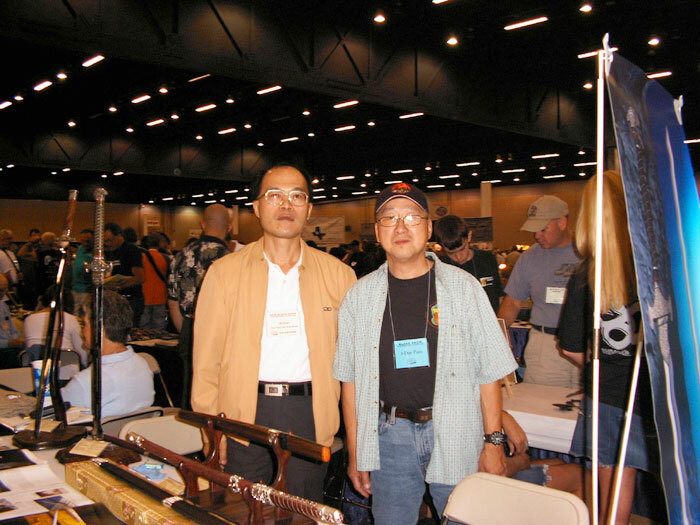 Knife manufacturers, blade craftsman, collectors associations, steel material companies, and accessories dealers were just some of the other participants at this great event. 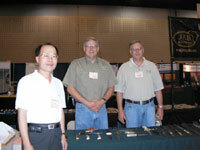 The larger blade manufacturers stayed at the outer perimeter of the arena. 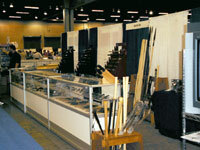 Custom makers, and collectors associations were located in the middle of the square. 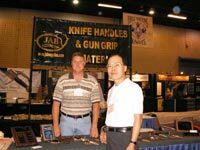 Besides the merchandise and custom cutlery there were also around ten free lectures knife enthusiasts could attend and enjoy. 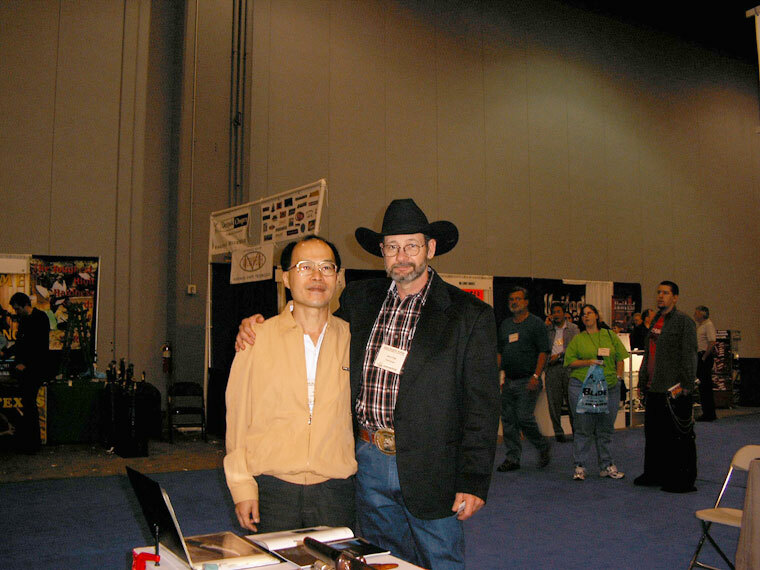 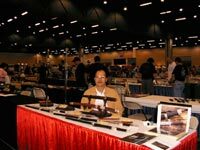 One blade craftsman, next to my booth came from New York. He specialized in short-blades. 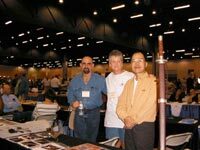 He was very interested and intrigued by some of my custom designs because of the difficulty in creating long swords and knives. 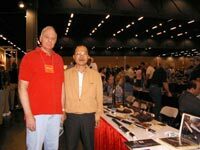 Long weapons deform easily in the manufacturing process and are very difficult to make. 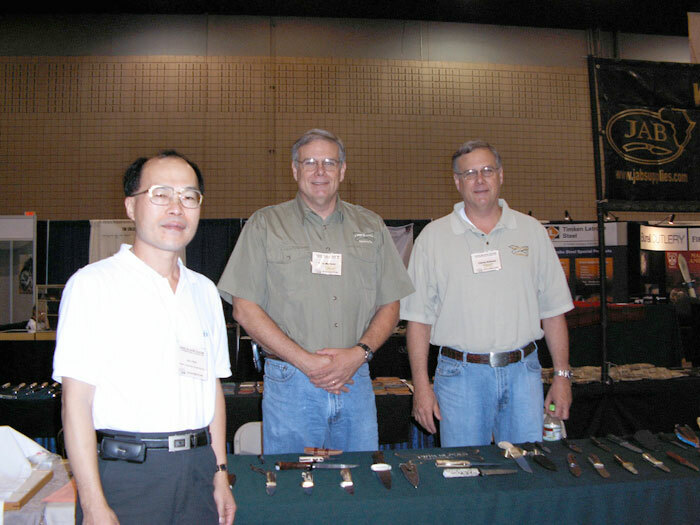 During the exhibition we had the pleasure to see other knife makers from various countries displaying their excellent skills and creativity. 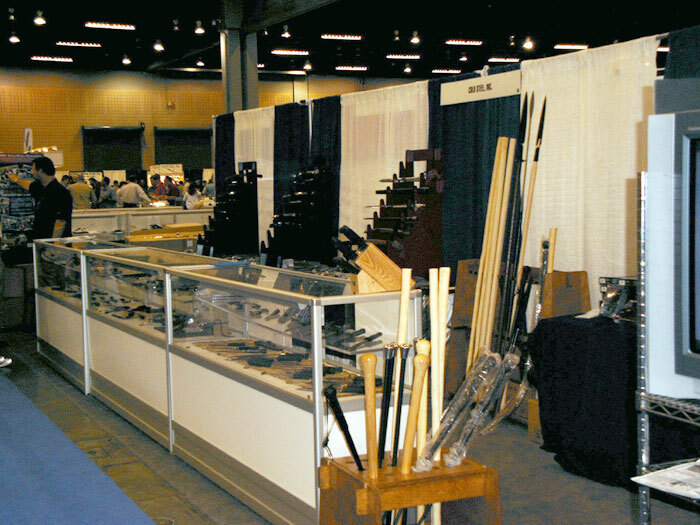 Apparently this blade show is the largest one in the world, attracting cutlery fans from around the world and reinforcing my intention to attend the show again next year! 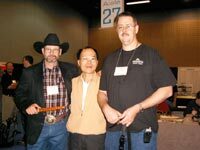 The three day show ended in clapping and cheers and my wife, a friend and I got onto our plane and readied ourselves for another LOOOOOONG RIDE!